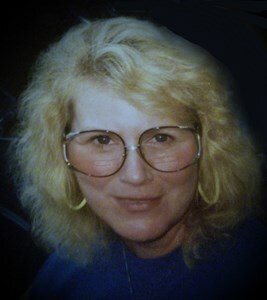 Newcomer Family Obituaries - Bobbie Jean Kitchens 1947 - 2019 - Newcomer Cremations, Funerals & Receptions. Bobbie Jean Kitchens, age 71 of New Carlisle, Ohio passed away Thursday, April 11, 2019. She was born July 16, 1947 in Bodcaw, Arkansas the daughter to the late Johnny and Opal Loe. In addition to her parents, Bobbie was preceded in death by her brother, John Paul Loe. Bobbie will be missed by her loving husband of 35 years Jimmy; children, Melinda Kitchens, Galen Kitchens, Amy (Patrick) Henry, Shelby (Matt) Shackelford and Robby (Melissa) Kitchens; grandchildren, Taylor (Kyle), Jackie (Jesse), Jonathan (Dena), Peyton, Roman, Gage and Brock; great grandchildren, Kynslee and Ryker; siblings, Jimmy Loe, Zelma (Ray) Hudgens, Lucille (Gary) Cheatham and Maxine (J.D.) Miller; numerous nieces and nephews. Family will receive friends Wednesday, April 17, 2019 from 12:00 p.m until the time of the funeral service at 1 p.m. at Newcomer North Chapel, 4104 Needmore Rd. Burial Glen Haven Memorial Gardens. Contributions may be made in Bobbie's memory to the family to assist with funeral expenses. To share a memory of Bobbie or leave a special message for her family, please click the "Share Memories" button above. Add your memories to the guest book of Bobbie Kitchens. Jim and I are so very sorry to learn of Bobbie's passing. We have such great and happy memories of traveling with Bobbie and Jim to many bowling tournaments. May Bobbie rest in peace. My memories of Bobbie and the video pictures of her Life that I just watched all show the same person I remember. A wonderful woman was who was always smiling or laughing. She loved her family more than anything , it was her life. Thank you for being a 2nd mom to my Melissa. You will be dearly missed by all who knew you. I remember working with Bobbie at a small company in New Carlisle. We always had a good time and we all laughed a lot. She was always giving me advice on dating and relationships. She was a good person. I'm so sorry to hear of her passing. Rest in peace my friend. Prayers for her family and friends. Jimmy and family, so sorry to hear of Bobbie's passing. We will keep y'all in our prayers. Paul was a dear friend of mine and so was Pee Wee.